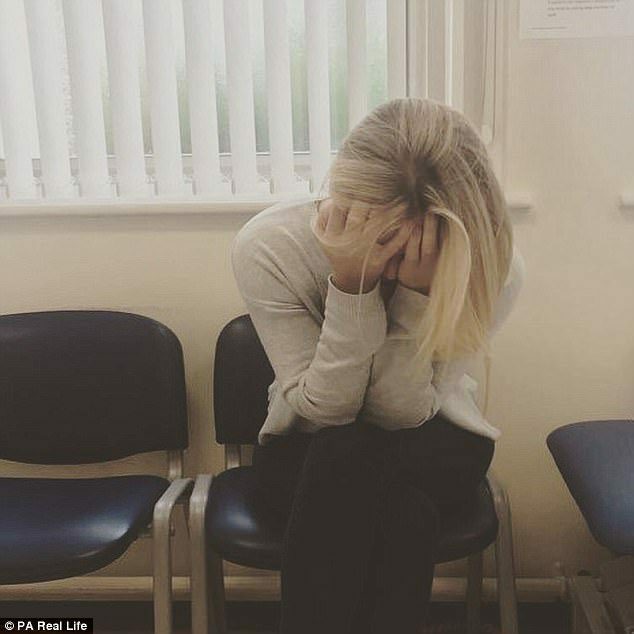 A glamorous company director, who ‘has it all,’ has released candid photos to highlight the grim reality of living with cancer. 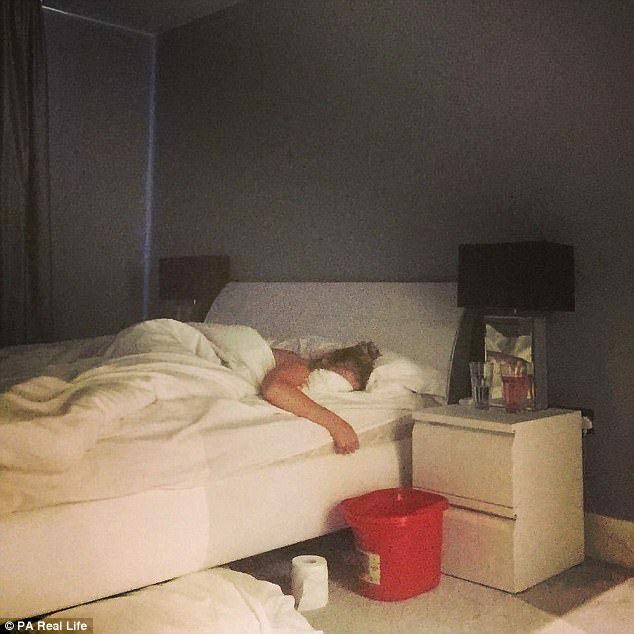 One image shows mother-of-two Ruth Naylor, 32, slumped in bed with a bucket while another reveals her holding her head in her hands while enduring chemotherapy. She said: ‘On paper, I have it all. A beautiful home we built ourselves, two gorgeous children and a brilliant career. 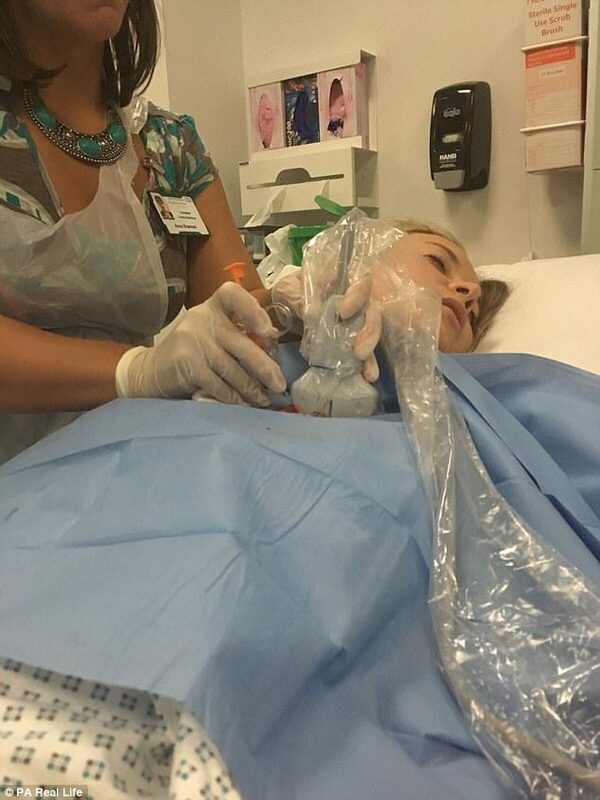 ‘When I’m in my hospital gown, I’m no different to anyone else. Just another woman desperate not to die. 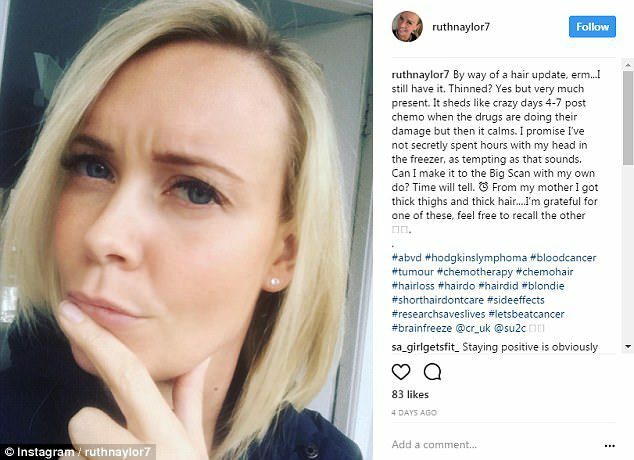 Ms. Naylor, who is five weeks into her chemotherapy and has an unclear prognosis, is documenting her cancer battle on Instagram, in a bid to help other sufferers. 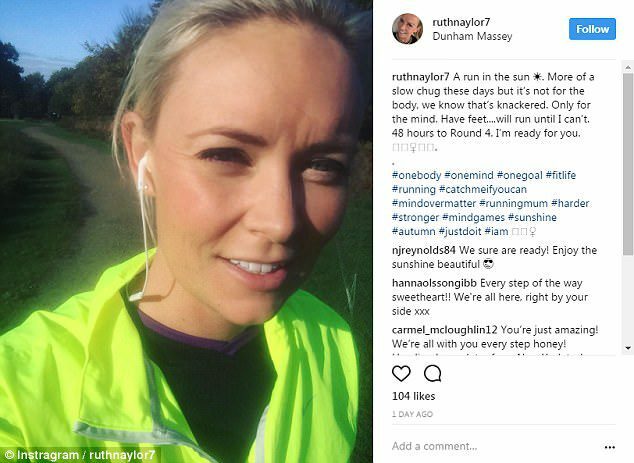 Ms. Naylor said: ‘I didn’t want to have the same conversation hundreds of times, so I posted an update on my Instagram and the response from my friends has been unreal,’. ‘On paper, I have it all. A beautiful home we built ourselves, two gorgeous children and a brilliant career. She said: ‘But, after a cancer diagnosis, instantly, you are faced with losing everything and your perspective on everything changes. ‘I think we’re obsessed with portraying a perfect persona, but cancer really teaches you humility. ‘When I’m in bed at night and the house is quiet, I can’t help wondering how it will all end. 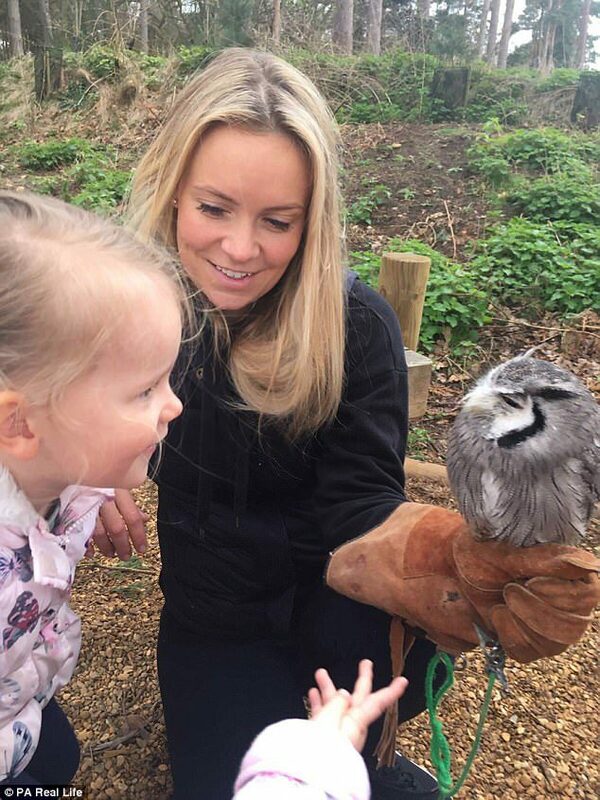 Although Ms Naylor is enduring gruelling chemotherapy with no promise of a positive outcome, she insists she is ‘using the time to laugh’. 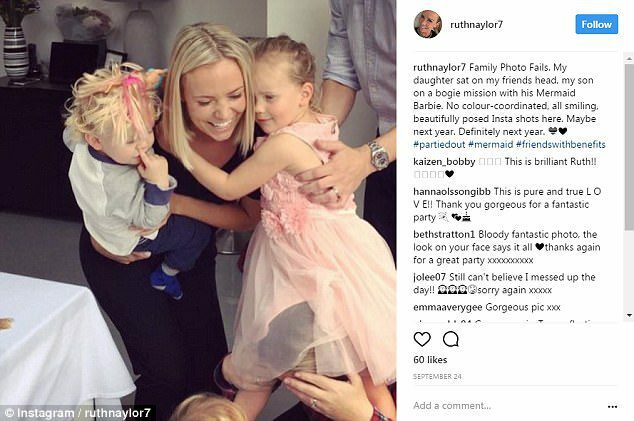 She took to Instagram earlier this room to share a photo of her and her best friend reminiscing about their younger selves while she spent all day in a room being infused with ‘highly-toxic chemicals’. 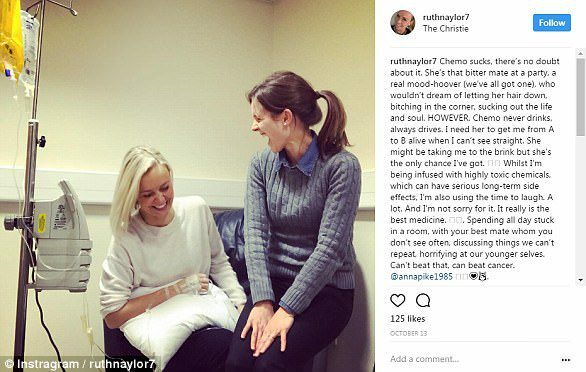 Describing the visit as ‘the best medicine’, Ms Naylor ends the post saying you can’t beat laughing about unrepeatable stories with an old friend, but adds she can beat cancer. 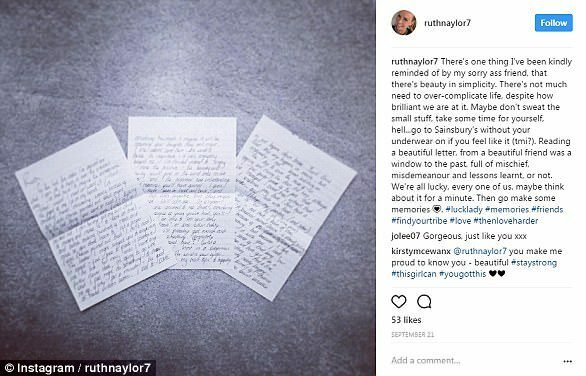 As well as teaching her ‘humility’, Ms Naylor says cancer has made her appreciate the simple things in life, such as a heartfelt letter from an old friend. In an Instagram post last month Ms Naylor shared ‘a window to the past, full of mischief, misdemeanour and lessons learnt’. She urges her followers to spend a minute appreciating how lucky they are, ‘then go make some memories’. Ms Naylor first visited her doctor in August this year after suffering flu-like symptoms and shortness of breath for eight weeks. 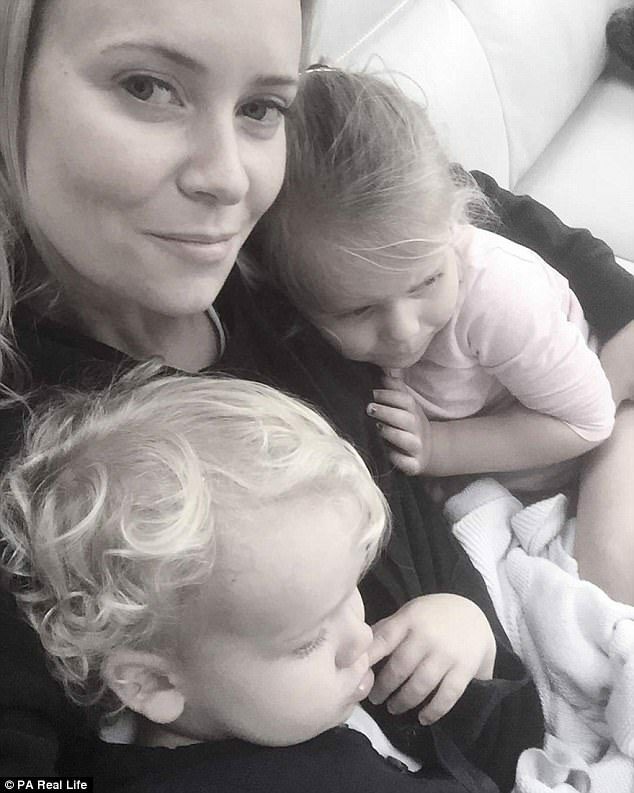 She initially blamed her exhaustion on her busy life as a full-time working mother to her children, Eva, four, and Oscar, two, who she raises herself after a recent split from her husband. 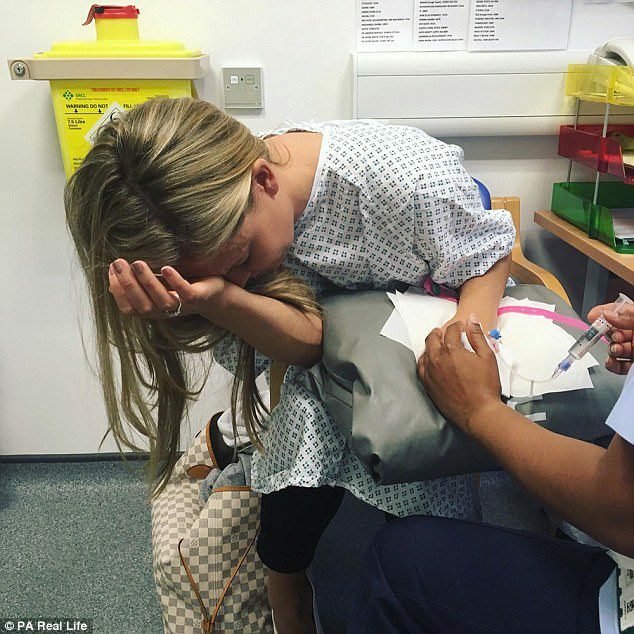 At the University Hospital of South Manchester, an X-ray revealed what looked like a clot on her right lung, as well as abnormal blood tests. 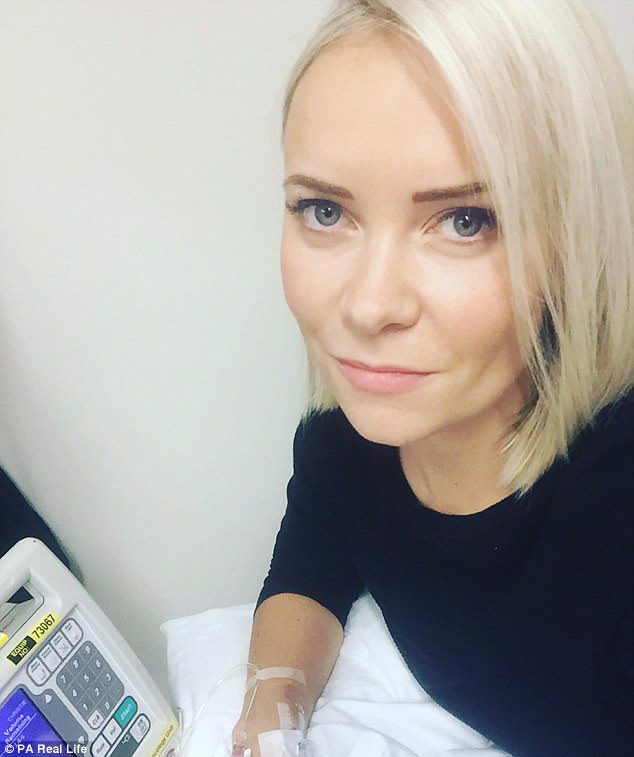 After being given blood-thinning injections, doctors wanted to investigate further and asked Ms Naylor to return for a more detailed CT scan the next day. She said: ‘That’s when everything changed for me. My whole world seemed to stop turning. ‘I had a wonderful life; a beautiful five-bedroom home in a lovely village, that me and my husband built ourselves, with the help of an architect. ‘And we always had five holidays a year. 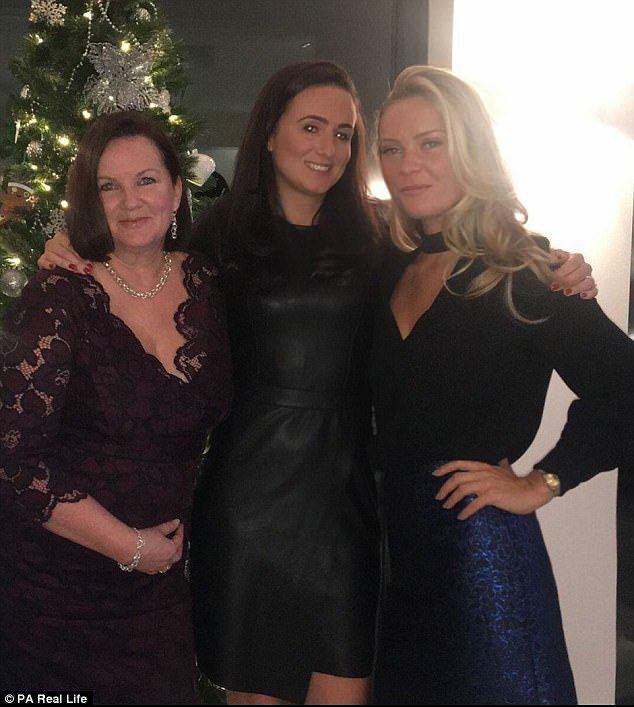 Ms. Naylor’s thoughts quickly raced back to the early death of her mother, Louise, at just 47, five weeks after being diagnosed with liver cancer. The next day, Ms. Naylor had a CT scan and more blood tests. She said: ‘They found a tumor intertwined between my lung and my heart. I really felt like there was going to be no turning back from that point. 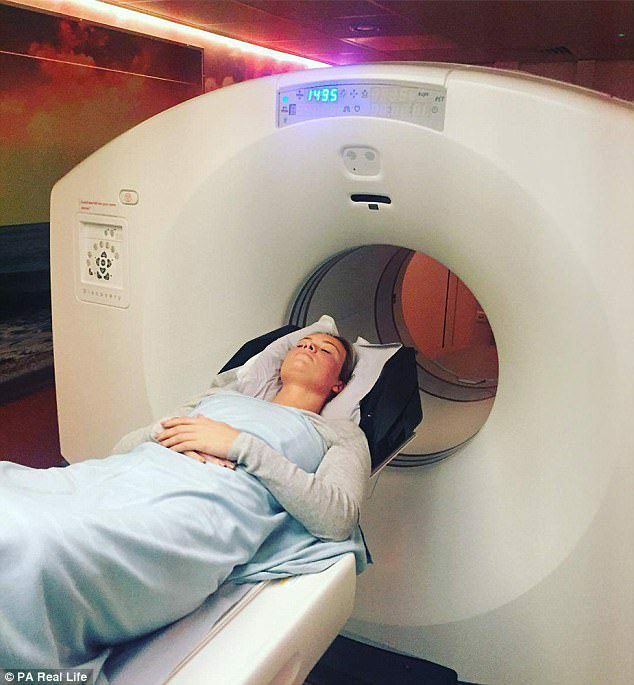 It was not until a PET scan, which examines body tissues, a week later that Ms. Naylor was told she had rare stage 2 B Hodgkin lymphoma. 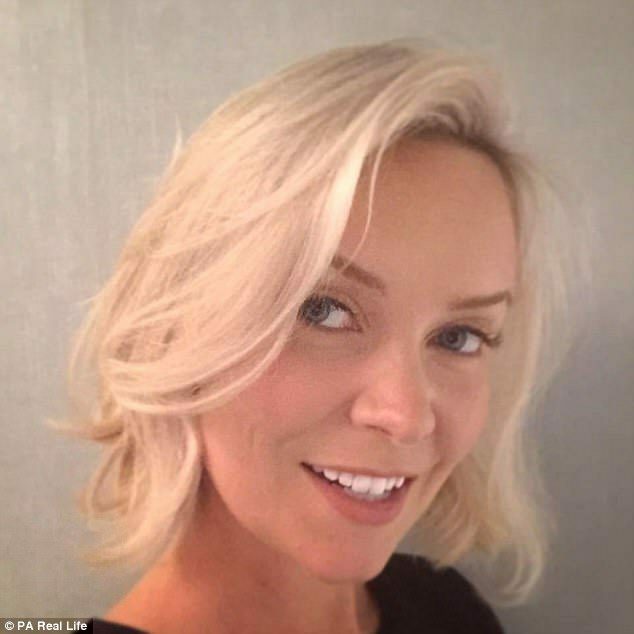 Transferred to The Christie cancer hospital, in Withington, Ms. Naylor heard she would need six months of grueling chemotherapy, possibly followed by radiotherapy. She said: ‘My mum never got to the stage of having chemo, as she was so unwell, so I don’t know anyone who has ever had it. 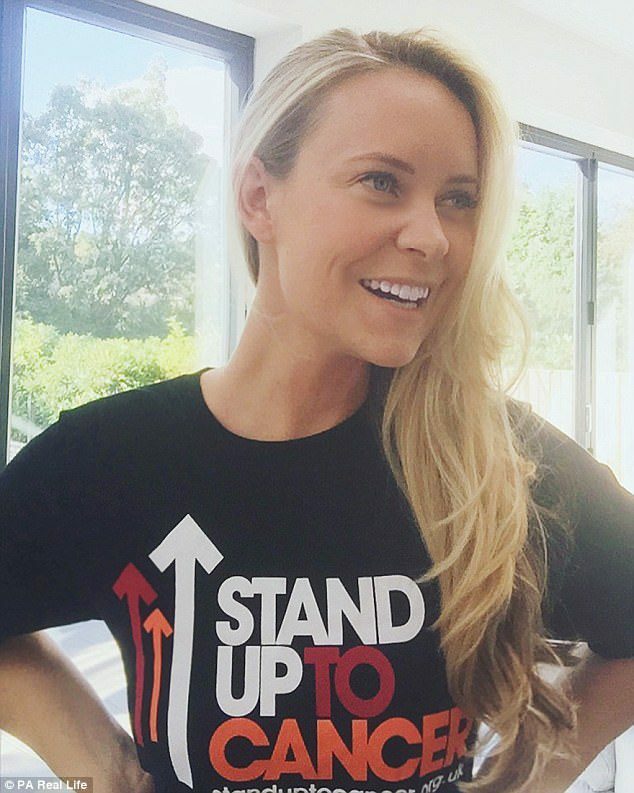 Ms. Naylor is supporting Stand Up To Cancer, a joint national fundraising campaign from Cancer Research UK and Channel 4 to accelerate groundbreaking cancer research and save more lives, more quickly. Find more information here.